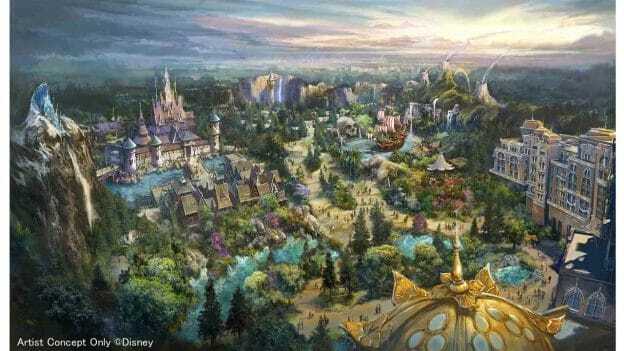 Tokyo Disney Resort announced yet another expansion project today! 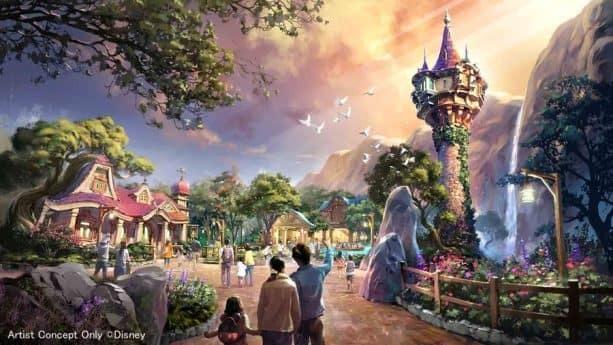 In addition to the ongoing Tokyo Disneyland development, including a “Beauty and the Beast”-inspired area and a “Big Hero 6” attraction, the resort will also expand Tokyo DisneySea in 2022 with an eighth port to include the Disney films “Frozen,” “Tangled” and “Peter Pan.” A new deluxe hotel with a one-of-a-kind luxury wing will also be connected to the port. Tokyo DisneySea is the only Disney theme park inspired by the myths and legends of the sea and is known to guests for its seven themed ports: Mediterranean Harbor, American Waterfront, Port Discovery, Lost River Delta, Arabian Coast, Mermaid Lagoon and Mysterious Island. 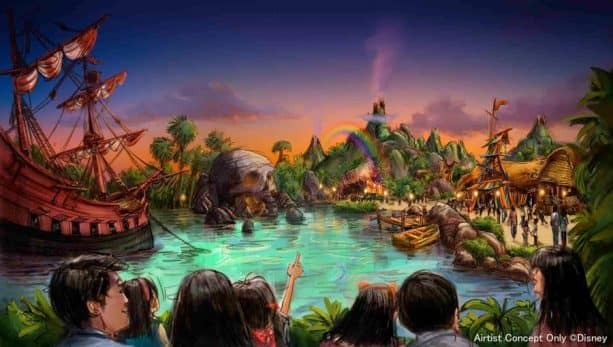 This newest port will be themed to magical springs that lead to a world of Disney fantasy and will include four new attractions. Guests will discover the kingdom of Arendelle after the events in “Frozen,” once the kingdom has opened its gates to visitors. 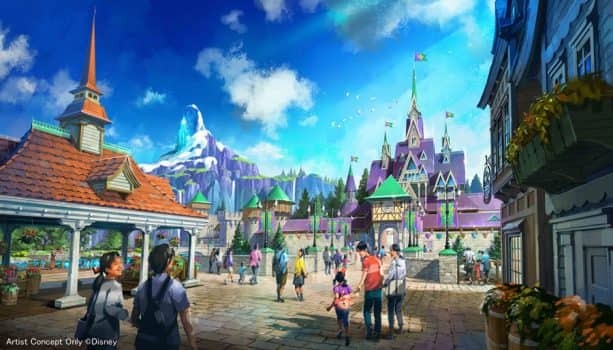 A heartwarming new attraction will take guests by boat to experience the story of Elsa and Anna while enjoying iconic songs from the hit film, and a new restaurant will be located inside Arendelle Castle. Another new area will invite guests into the charming forest where Rapunzel’s tower awaits. Guests can board gondolas for a romantic tour of Rapunzel’s “best day ever” as she journeys with Flynn to the lantern festival for an unforgettable finale. Also on the menu is a restaurant inspired by the hideout of the humorous band of thugs in the movie. Neverland will come to life for guests, including Captain Hook’s pirate ship and Skull Rock. The area will feature two new attractions and a restaurant inspired by the Lost Boys hideout. 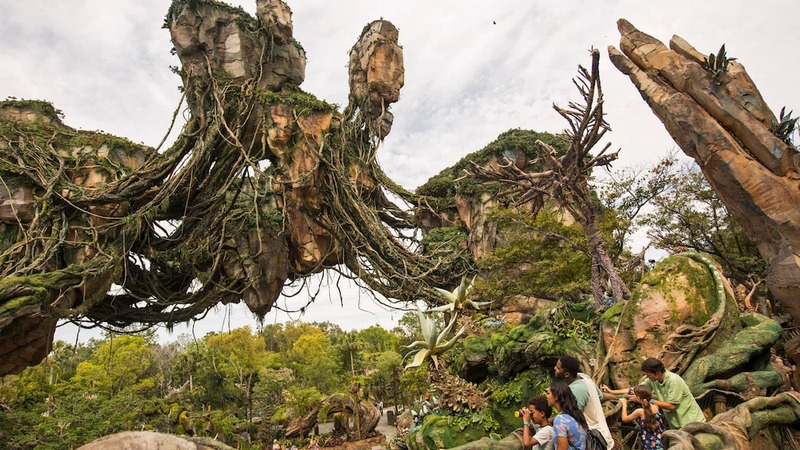 In the first attraction, guests will fly over the jungles of Neverland with Peter Pan to rescue Wendy’s younger brother, John, in a battle with Captain Hook. The second attraction will immerse guests in the world of Pixie Hollow where Tinker Bell and her fairy friends live. 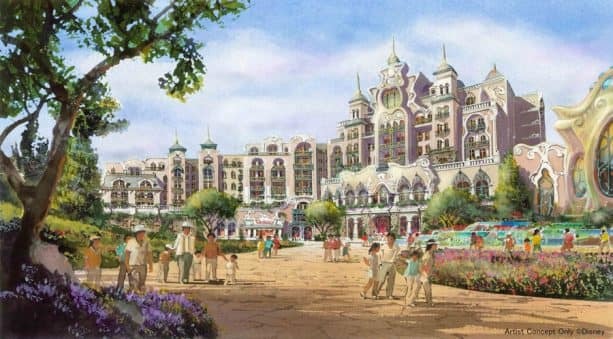 A new deluxe resort hotel will also open inside Tokyo DisneySea as part of this latest expansion plan. Themed to Disney fantasy, the hotel will rise above and around the magical springs of the new themed port, featuring 475 deluxe and luxury guest rooms, two restaurants and a merchandise shop. This new project marks another major step in the evolution of Tokyo Disney Resort, on the heels of the 35th Anniversary “Happiest Celebration!” and the ongoing Tokyo Disneyland development. Stay tuned for more details on these worlds of fantasy coming soon to Tokyo DisneySea! It already is the best park. I’m super excited. I just visited last year, and this will make me want to come back again! Tokyo DisneySea is good enough….but they will make it the best theme-park in the world~! !